SIOUX FALLS, South Dakota — South Dakota’s Native American-owned casinos had among the fastest revenue growth nationwide in 2012, according to a report that also found spending nationally at tribal casinos slowed that year. 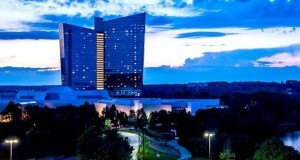 Revenue at the 13 Indian gambling facilities operated by nine tribes in the state rose about 14 percent in 2012, to $124 million, said Casino City’s Indian Gaming Industry Report. The increase is likely due largely to a state law change that took effect July 1, 2012, that gave Deadwood and Indian casinos the option of raising maximum bet limits from $100 to $1,000, said Larry Eliason, executive director of the South Dakota Gaming Commission. However, not all tribal casinos increased bet limits that much and any small increase can result in a large percentage change, he said. “Whenever you’re dealing with percentages, we’ve got a pretty low base number, so it doesn’t take a lot to make a high percentage,” Eliason said. Weston Quinn, chief financial officer and acting CEO of the Sisseton-Wahpeton Oyate Tribe, said the tribe’s casinos in Watertown, Sisseton and Hankinson, North Dakota, had a great year because of the mild winter. All three are in rural areas, so the nice weather allowed elderly clients to get out, he said. The tribe opted not to increase bet limits because it would have had to add pit bosses and other staff to look closely for cheaters, Quinn said. The tribe has started the process of roughly doubling the size of the gambling floor at its Hankinson casino, Quinn said. Casino City’s report found that spending by gamblers slowed at U.S. Indian casinos in 2012 and the revenue growth of 8 percent fell behind nontribal casinos for the first time in 18 years. The 13 Indian gambling operations in South Dakota offered slot machines, electronic bingo machines, blackjack, poker, off-track betting and bingo in 2012. Revenue on the 2,629 slot machines rose about 7 percent from the year before, but revenue from the 64 table games fell by roughly the same amount, the report said. Besides the bet limit change, the report noted the Flandreau Santee Sioux Tribe’s plans to renovate its Royal River Casino and Hotel in Flandreau and add more machines. The tribe also has proposed a casino resort in Sioux Falls. “Although the Royal River Casino has had substantial competition from out-of-state casinos, it has remained consistent in the past year,” Pearman wrote.